Transdirect Shipping for Shopify gives you access to Australia’s largest courier and freight companies, and allows your clients a seamless checkout process. *Please note: This documentation is updated in accordance with the latest Transdirect Shopify App. Note: Please make sure you are logged in with your shopify store for easy installation. Go to Shopify App Store. Search for “Transdirect App” or Click Here for Transdirect Shipping Shopify App. 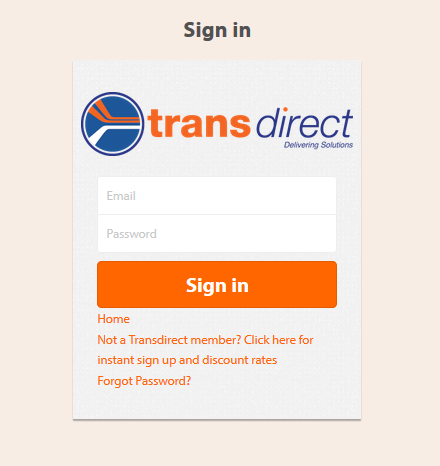 Log in to your Transdirect member account or use the auto create account option of the app. Note: Shopify Basic plan cannot fully utilize the Transdirect plugin as it needs Real Time Shipping enabled on your account. Learn more at Shopify Help. Users can now add product variants dimension to each product for more accurate rates. The entered dimensions will be used for the rates of the items to be shipped. For the last previous version a request button will appear in the Transdirect App Dashboard. This will request a permission to read/write details to your products/product variants and use it for calculating the rates. For the latest versions users need to reinstall the the Transdirect App or contact Transdirect support to assist through the upgrading process. Enter your pickup postcode. This will be the default postcode address where the courier calculations will base the origin of shipments. Select if type of location is “Commercial” or “Residential” based on where your warehouse/pickup point is located. Rules enables you to add conditions to quotes based on the postcode or weight. Shipping can also be configured to have a “free shipping/fixed rate” depending on the configuration or condition added. Enter in default package dimensions. 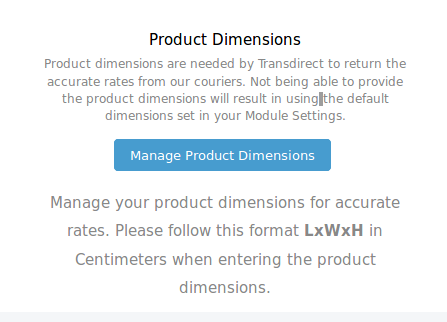 Default package dimensions will be used if you do not input custom package dimension for a specific product. 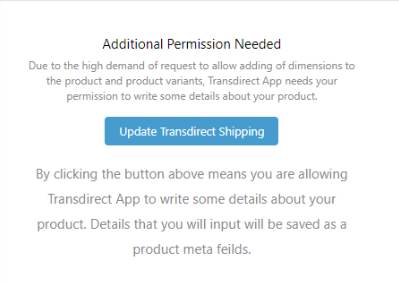 Enable order sync functionality for only Transdirect Orders – If enabled, the Transdirect plugin will upload your transdirect order information to your transdirect members area as your customers checkout, allowing for easy booking of your orders. Enable order sync functionality for all orders – If enabled, the Transdirect plugin will upload all store order information to your transdirect members area as your customers checkout, allowing for easy booking of your orders. Select type of Quote to display, these options control what quotes are displayed to your clients. Display Cheapest – This will only show a single quote which is the cheapest. Please keep in mind that all of these options are applied after the more advanced options available below are applied. This adds a fixed $ amount or a % onto the final quotes that are displayed, this can be used to cover handling expenses. 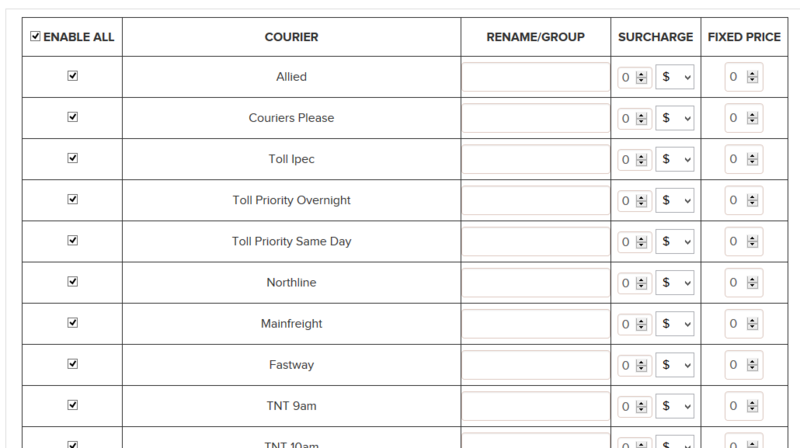 If you would like to disable quotes from a particular courier service, then you can uncheck the box left of the row. If unselected, quotes for this courier will not be calculated. You can also use this option to Group couriers, if you call multiple services by the same name, then only the cheapest option will be used and displayed. For example, you could call all the same day services “Same Day” and all road services “Road Express”, and your client would get presented with only 2 options during the checkout process. Users can now add up to 5 boxes to be used to pack the items. Calculating the best box for the items. Item packing is made more accurate. Please note this is advanced functionality, do not enable this if you do not fully understand the implications that this will have on quoting. This feature is useful for customers that might have a large number of small items which they will box before dispatching. Multiple packages will be consolidated and computed based on the total dimension and volumetric weight, then spread across different boxes, at the Box size you have set. 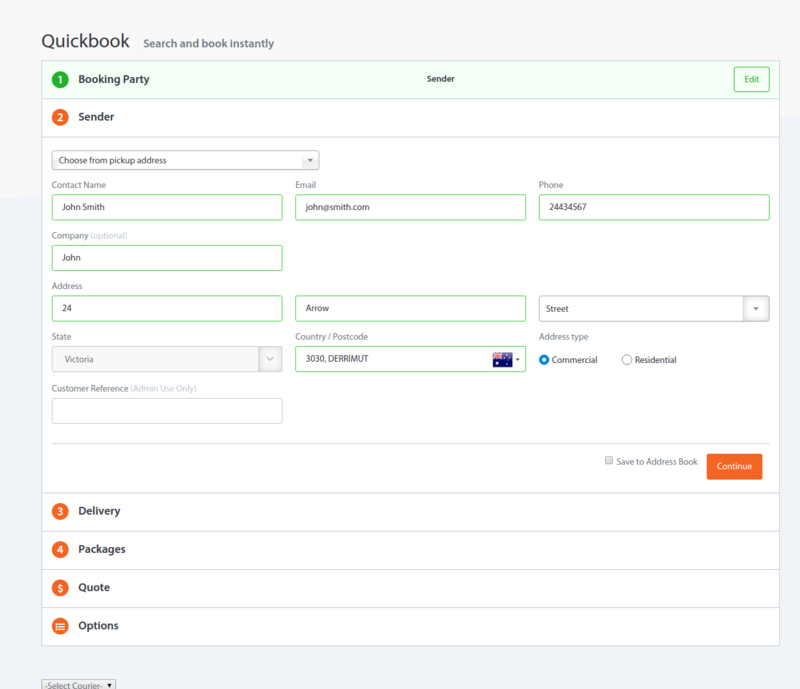 Fill all details on the Quickbook screen in order to complete the booking.